Using social media effectively is such an important part of a solid integrated marketing plan. This week, let’s take a look at three very different brands and how they use their social media channels to market their brand. Three different brands, all integrating social media into their marketing. While each brand has their strengths and weaknesses in terms of the execution, they all do a great job of showcasing their brand on social media. Adidas is an international brand that sells sporting goods, primarily shoes. I wanted to take a look at Adidas now because it’s an especially busy time for retailers and makers of sporting goods due to this summer’s World Cup. As a huge soccer fan, I am very familiar with their sponsorship of international soccer teams and was expecting a big push from their marketing on social media, connecting their brand to the World Cup. I wasn’t disappointed. One thing I found odd was there were no links to their many social media profiles on their website. 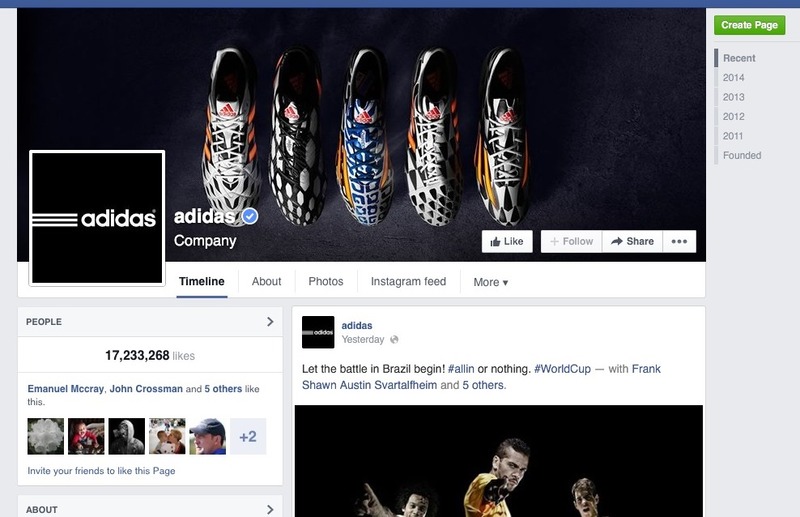 Adidas uses Facebook well, in terms of integrated marketing. They had posts with links to YouTube videos, they used hashtags like #allin, they tagged people and products in their posts, and, most importantly, were linking back their website. 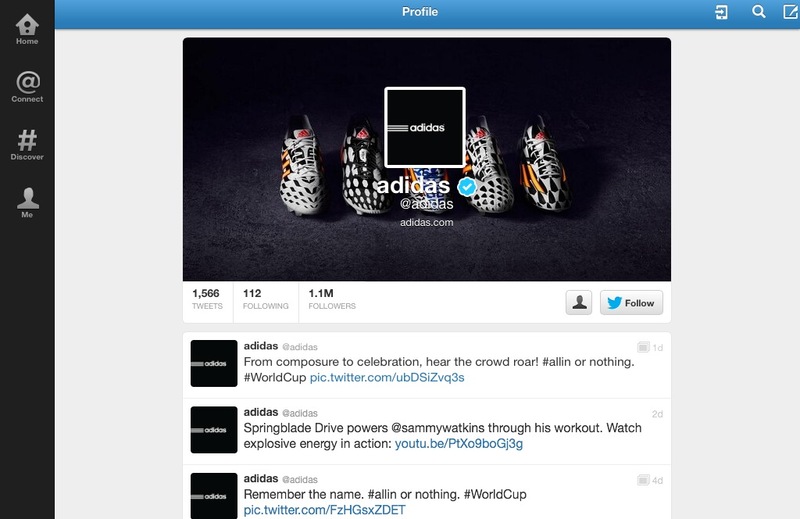 Adidas uses Twitter very well. 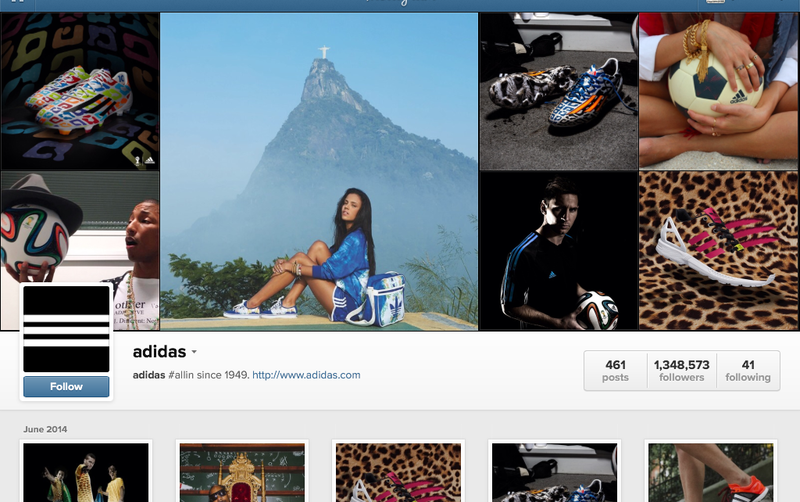 It’s important to note there were several Adidas related accounts, but I am focusing on their main brand account. They often retweeted a lot of other Adidas accounts, like @adidasrunning, @adidasfootball, they post photos and YouTube videos, links to email signup, and use a lot of hastags. They also link product photos back to their website. On Instgram Adidas maintained their consistent imagery. They used a lot of hashtags like #allin, #WorldCup, #SmashTheSilence. They also tagged celebrities in their posts, such as @snoopdogg, @AndyMurray, & @Pharrell. They were not consistent in linking product photos back to their website on Instagram. 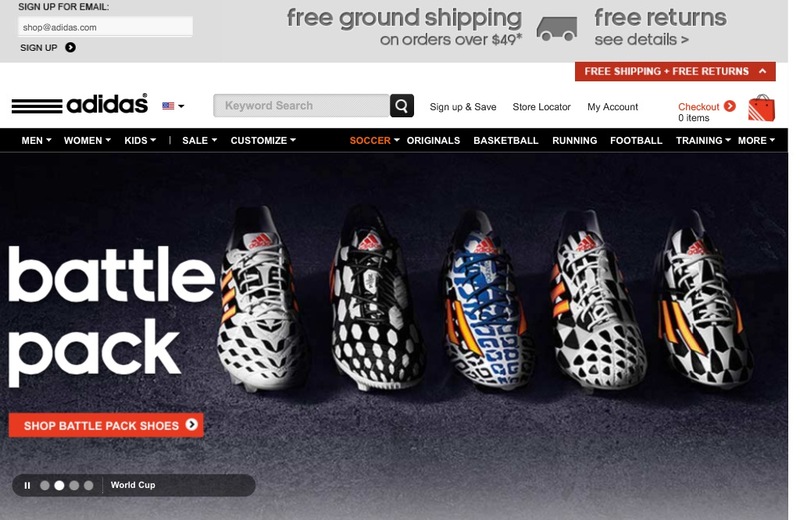 On Google+ Adidas continued their use of hashtags, expanding it to things like: #Messi, #NFL, and #f50. Every post had either a photo or a video and many also had a link to the Adidas website to the product. They were very consistent in their imagery and messaging, and this was the most consistent social media platform when in comes to directing visitors back to their website from product photos. 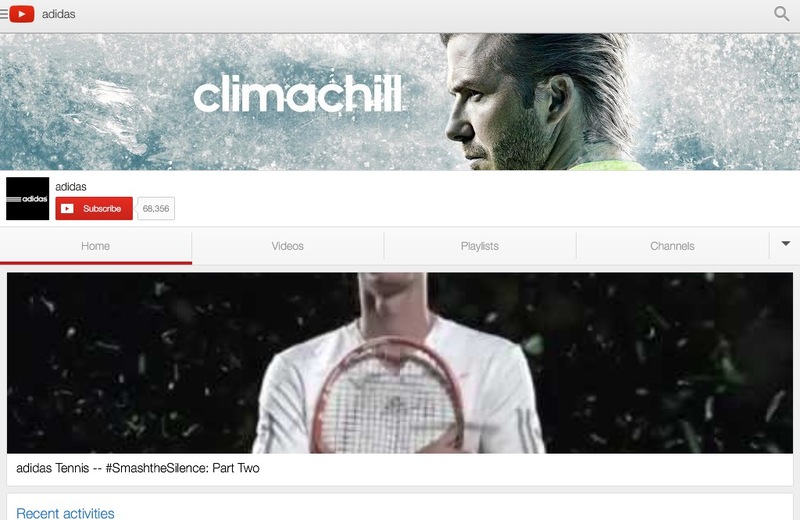 I was surprised at how few soccer-related videos there were on their YouTube channel, focusing the most recent posts on Wimbledon and tennis, instead. They are consistent posters on YouTube, posting 20 videos, just in the past month. 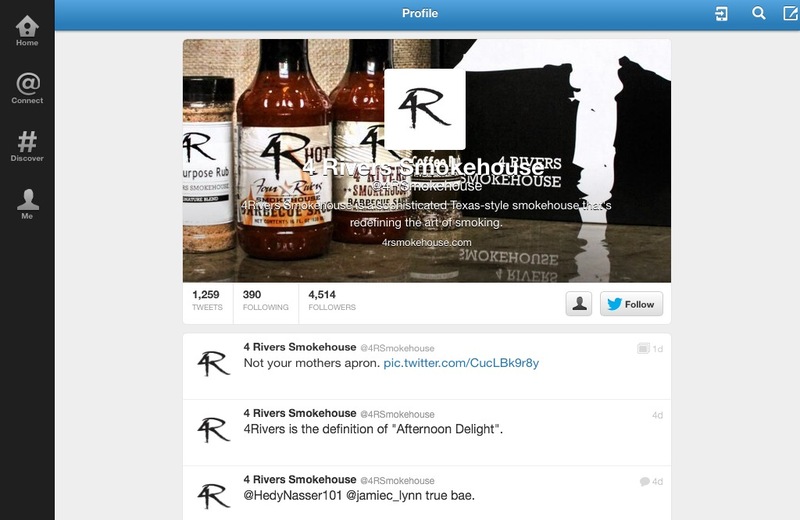 I love highlighting local companies, and 4Rivers Smokehouse is no different. They have a great style to their photos that they use in their marketing that they use across their social media channels, which helps make this local restaurant’s brand very identifiable. 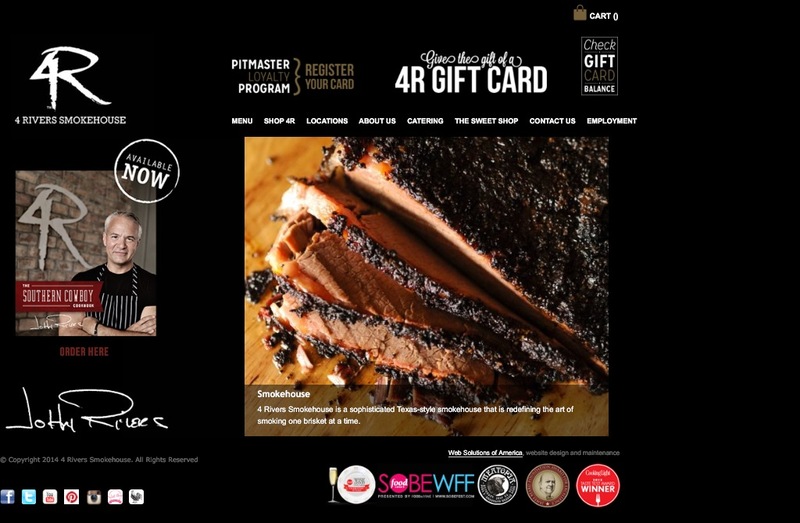 4Rivers’ website features their signature dish, BBQ brisket. It highlights their local chef and philanthropist, John Rivers, and clearly shows their social media channels. I thought it was interesting that they didn’t have a Google+ channel listed, but I found one fairly easily when I browsed Google+. 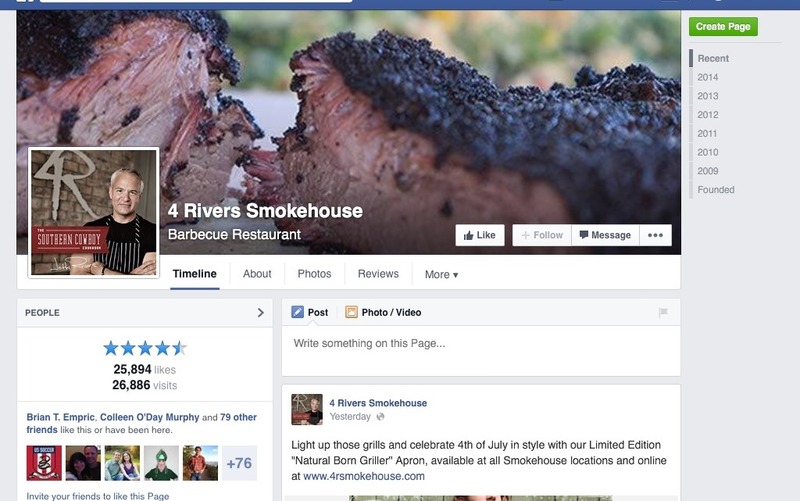 On Facebook, 4Rivers lists their website and phone number in posts, but not consistently. The photos used are the same that are used across their channels. 4Rivers does a really good job at linking articles and other media about them in their posts. They tag folks and organizations in them, but don’t take advantage of using hashtags. Their tweets are full of consistent imagery and messaging. However, they do use hashtags here on Twitter. They frequently have Facebook posts as their tweets. 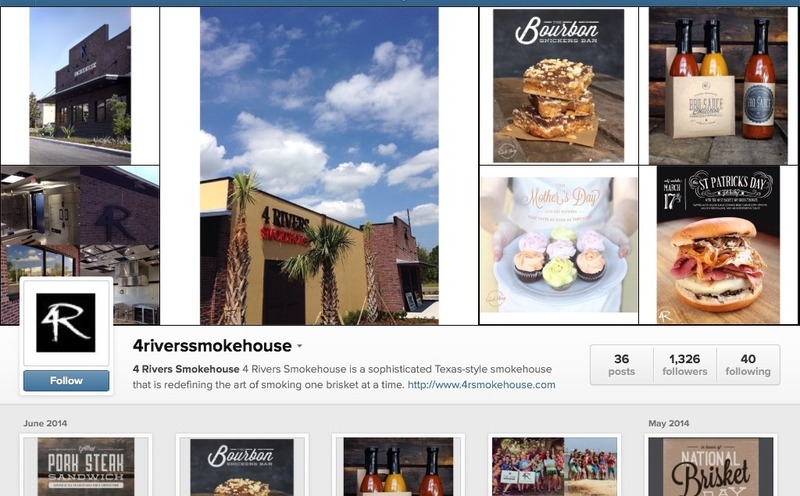 4Rivers’ Instagram profile is filled with great photos of food, their restaurant, chef, and employees. They do use hashtags here occasionally, with the most common one being, #4rivers. Their Google+ page is actually not for the larger brand, but for the Winter Garden location. They still use consistent imagery and messaging. They also use more hastags, such as #WinterGarden, #recipe, and #wine. Their Google+ page also includes links to their website and phone number for ordering. They also tag people and organizations in their posts. 4Rivers’s Pinterest board is just as you’d imagine it would be. It features their food, locations, chef, media, and awards. The food is really the star on Pinterest, though. I thought it was interesting that in their profile, they listed their Facebook page, as opposed to their website. Their Twitter profile is also linked. Out of all of their social media profiles, this was a bit of a disappointment. 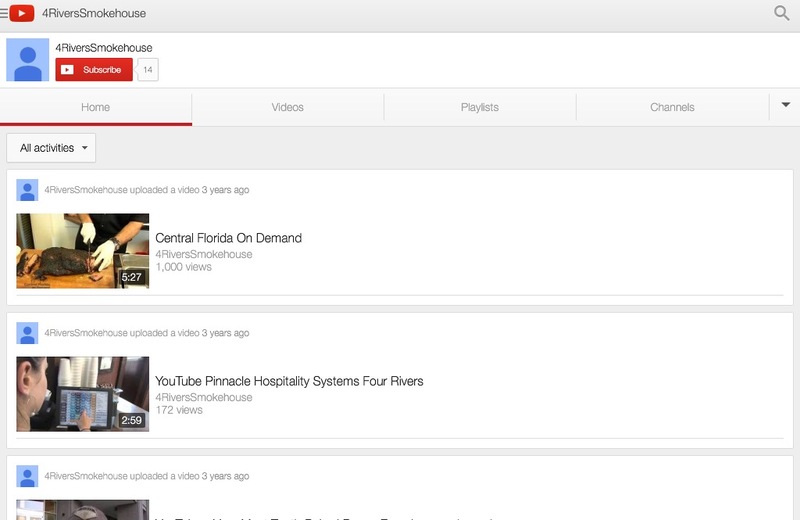 There was no banner and only 5 videos on it. I think, if they’re going to link this profile from their website, they should update and expand on the content. While most of the world is watching the World Cup, the NHL draft was happening. 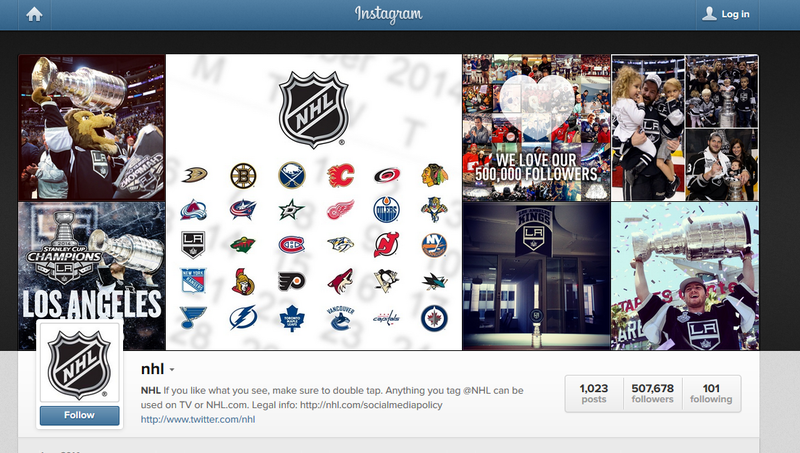 While I don’t expect them to get the attention of the World Cup, the NHL brand did a great job of pushing their content out through their social media channels and linking that content back to their website. NHL.com is filled with a lot of rich content. They have their social media profiles linked, but don’t show their Instagram profile, which I found odd. 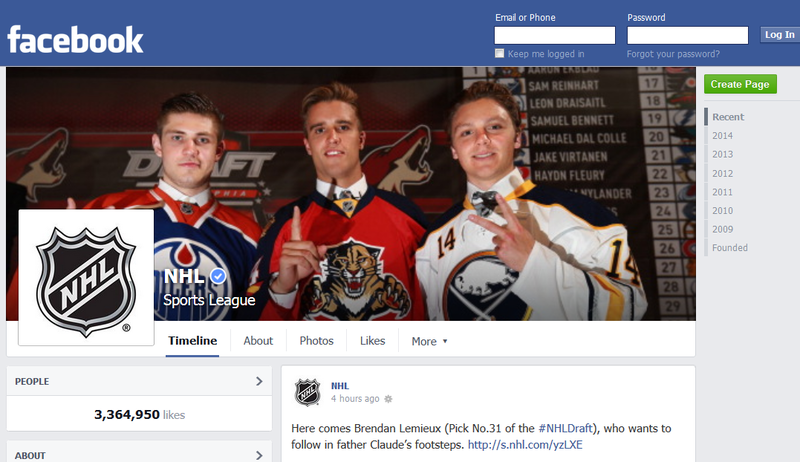 NHL has a lot of great content on their Facebook page. They prominently list the 2014-15 regular season schedule: http://s.nhl.com/yjLhr, and let fans know that any content shared there may end up on TV, NHL Social, or NHL.com: http://nhl.com/socialmediapolicy. 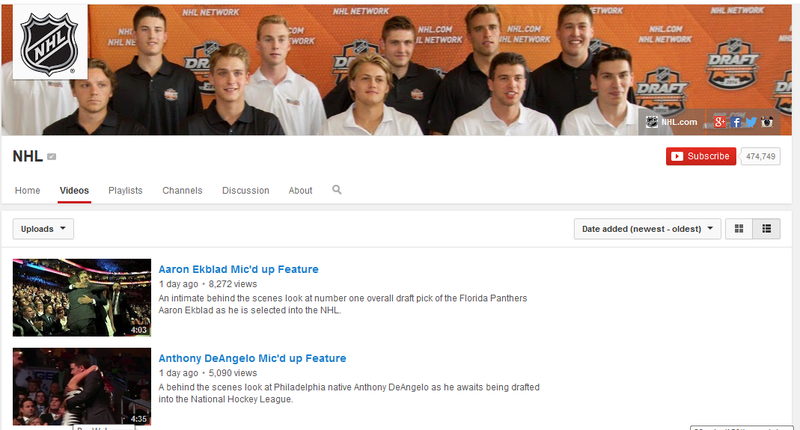 They are great at tagging, using photos, and using hashtags like #NHLDraft & #StanleyCup. 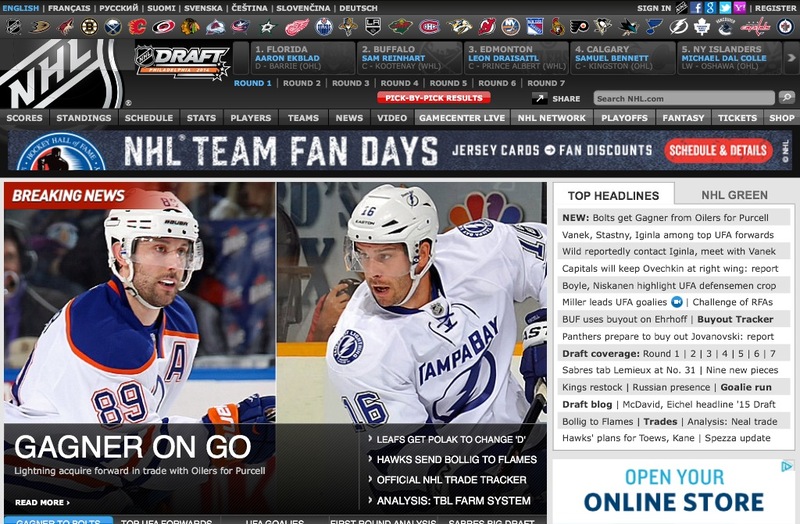 NHL is the most consistent at linking content back to their webpage. They tweet a lot and are great at using of photos, videos, tagging, and linking back to their website. Their is very consistent use of imagery and content shared. They use hashtags, most recently using #NHLDraft. Their use of tagging and hashtags was the most consistent on Instagram. I liked the exclusive feel of the photos shared here, since they weren’t the ones shared on the other social media platforms. NHL.com is not linked on the content, but their Twitter profile is listed in their profile. 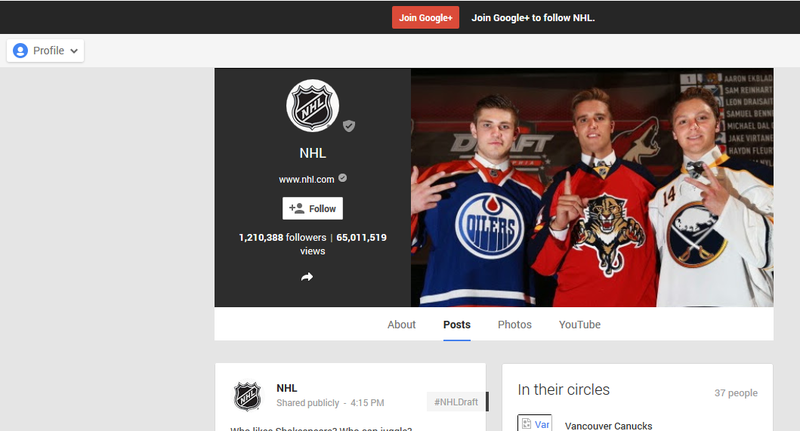 Their Google+ profile is very consistent with the content. The messaging and imagery is the same as most of the others with their use of photos, videos, tagging, and linking back to their website. Their YouTube channel is filled with great content. They have their other social media profiles linked on the banner at the top. One of my favorite things about their YouTube channel is the exclusive content there. There is a lot of exclusive content, which would certainly be an incentive to visit the page and to subscribe to the channel.